Feel the excitement and be alive for the first time in your life. Almost anyone can make a Tandem Jump! Our friendly and experienced staff will make you feel comfortable and confident enough to make the jump. Almost anyone can learn to skydive! Our experienced team of skydivers have a passion to share their love of the sky, and to give you the knowledge and confidence to make the jump. Freeflying, Wing suits, Relative Work, & Swooping. 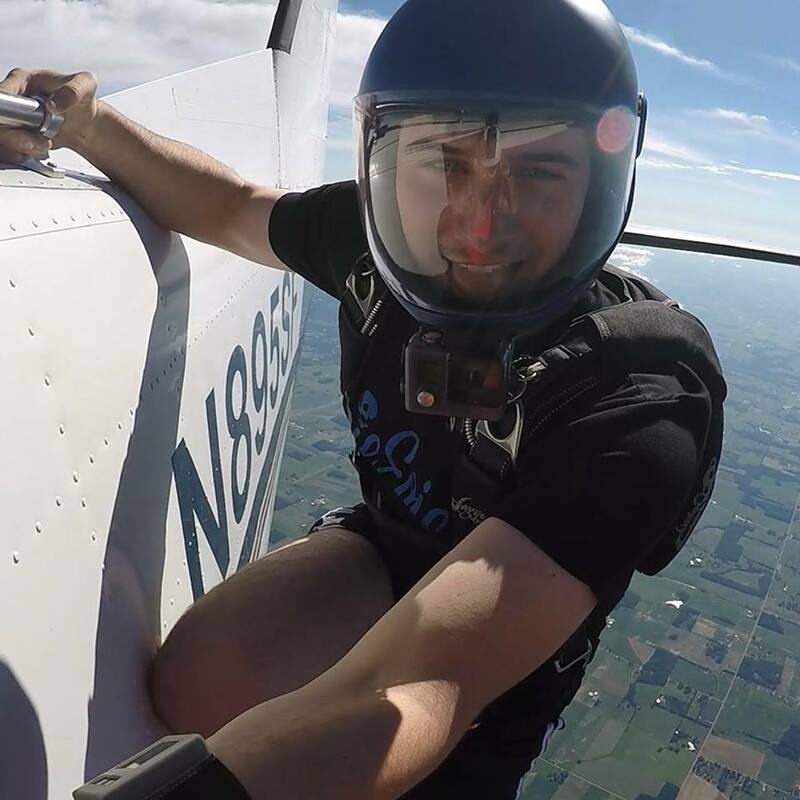 Come jump with your friends at AerOhio! What are you waiting for? Everybody wants to skydive someday, why not make that day today, or at least this weekend? Earn the right to say "I did it" and call to schedule your jump today. Birthday, Graduation, Bachelor(ette) Party, Bucket List. The reasons are endless but time is not. Call us Today.